Now you can stay in a posh area in Faridabad at a low price range and you can easily book your luxury high rise apartment in Uppal Jade Flats in Faridabad. This residential development offers spacious affordable flats starting at 39 lacs only. 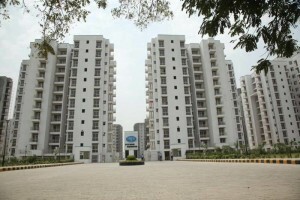 Uppal Jade Flats is well connected with south Delhi, NCR, Noida and the nearest places are SriDham temple and Tigaon Road. Why would you love to choose Uppal Jade Apartments in Greater Faridabad? Uppal Jade Flats provides all modern amenities such as swimming pool, clubs, power backup, trained security surveillance and indoor games inside their complex area. Along with that, you can get the financial assistance by the developers, and you can apply for the home loans in all leading banks also. The total project is constructed with 14 acres land and more than 60% area of this project is designed with lush green garden. So now you can easily live in this luxury apartment of uppal Jade at an affordable price range, and you can log into their official website for more details.